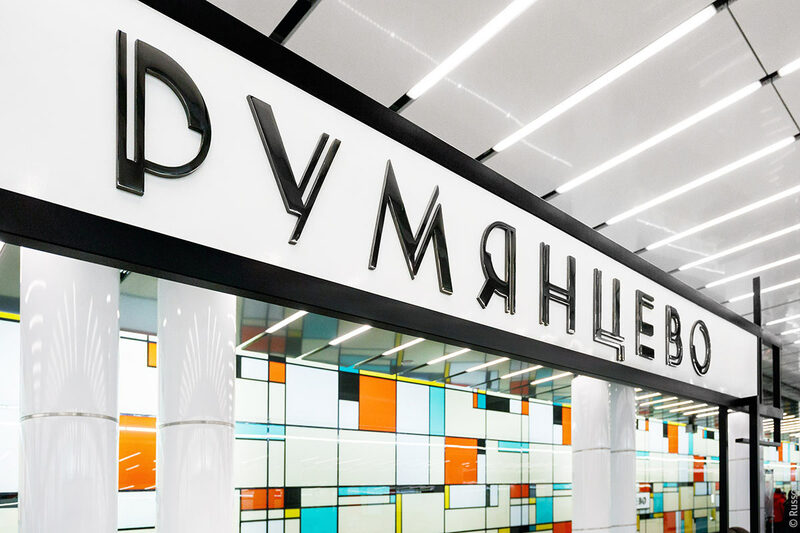 Task: to develop type design for a new Moscow Metro station. 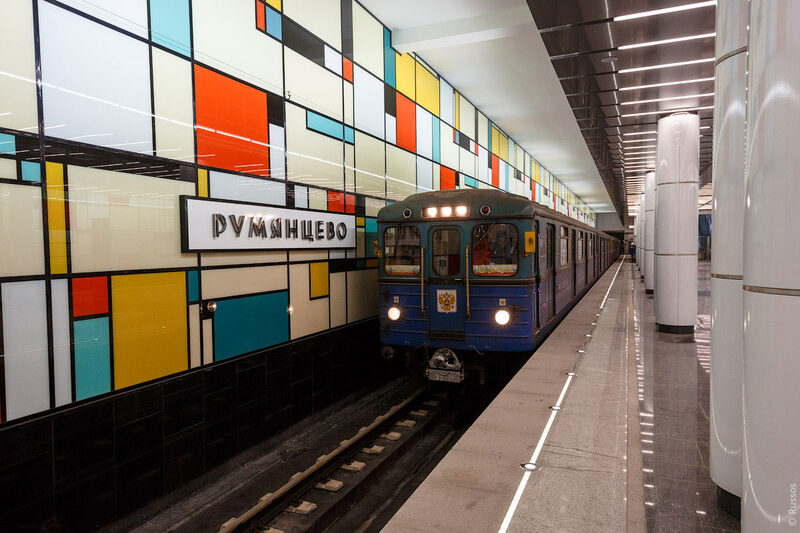 Rumyantsevo station of the Moscow Metro’s Sokolnicheskaya Line opened for passengers on January 18, 2016. 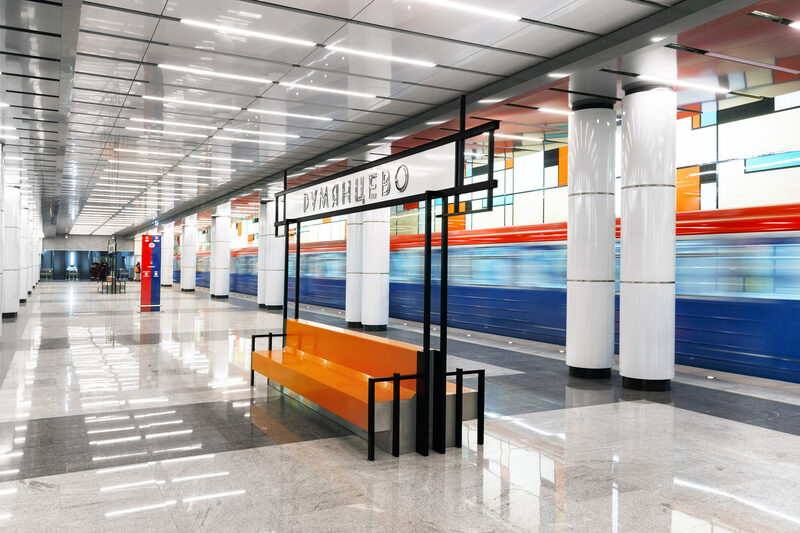 By the request of Mosmetrostroy and Inzhproekt, the studio created a name plate for placement on the station wall and benches as well as recommendations on choosing materials and technologies for its production. 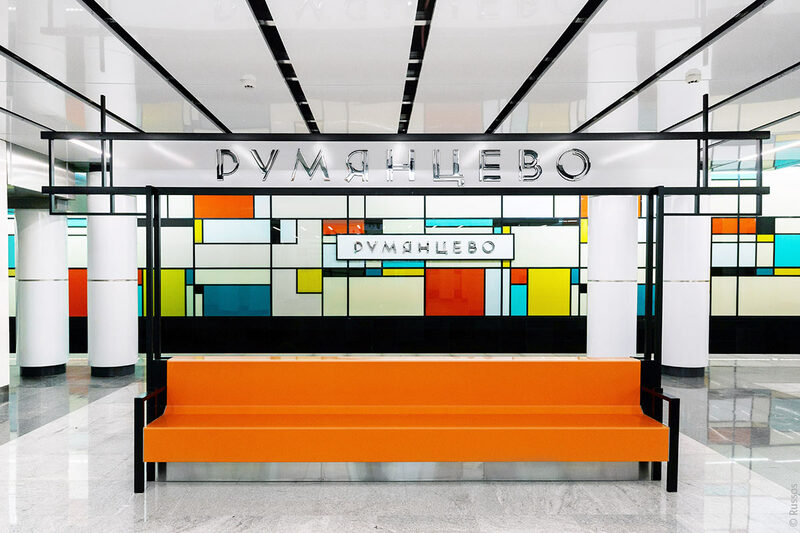 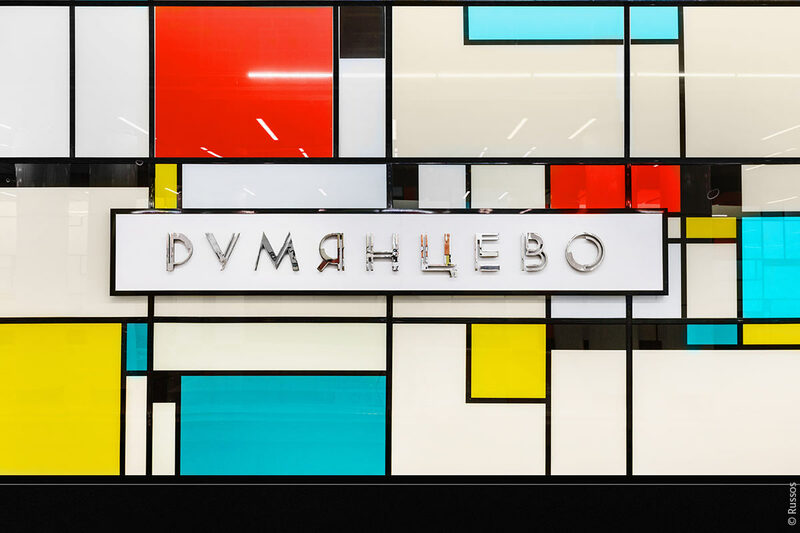 The text with double straight lines and perfectly round letters is done in Art Deco style and fits well with the aesthetics of De Stijl movement that inspired the station’s design.